M00ses on their 5th M00siversary! What a “GREAT” day for our 5th M00siversary! We like to say that we started five years ago on Great Head and arrived today on Great Hill! 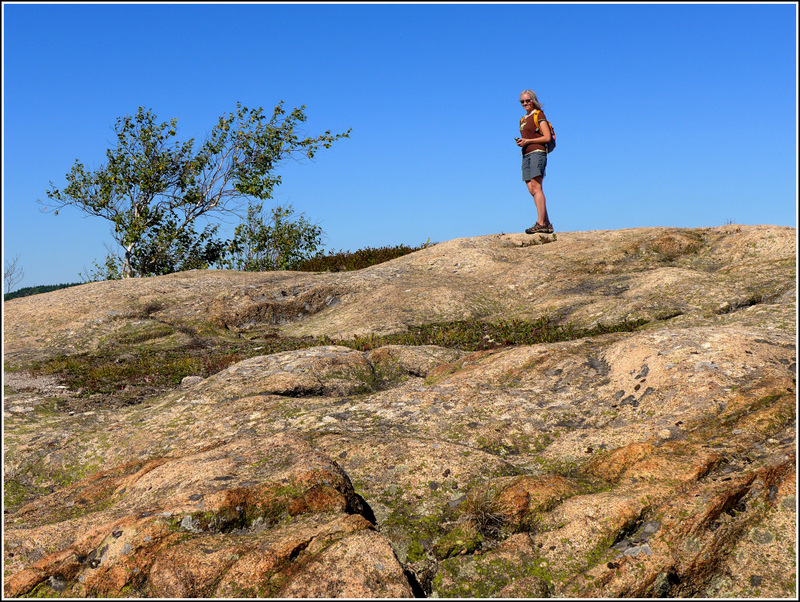 Our planned expedition was to hike to the summit of Great Hill, a short climb from the Cadillac Mountain Overlook along the Park Loop Road, and explore from the summit to see what other lost and abandoned trails we might find. This beautifully clear, warm day looked like it would provide the perfect conditions for exploration. 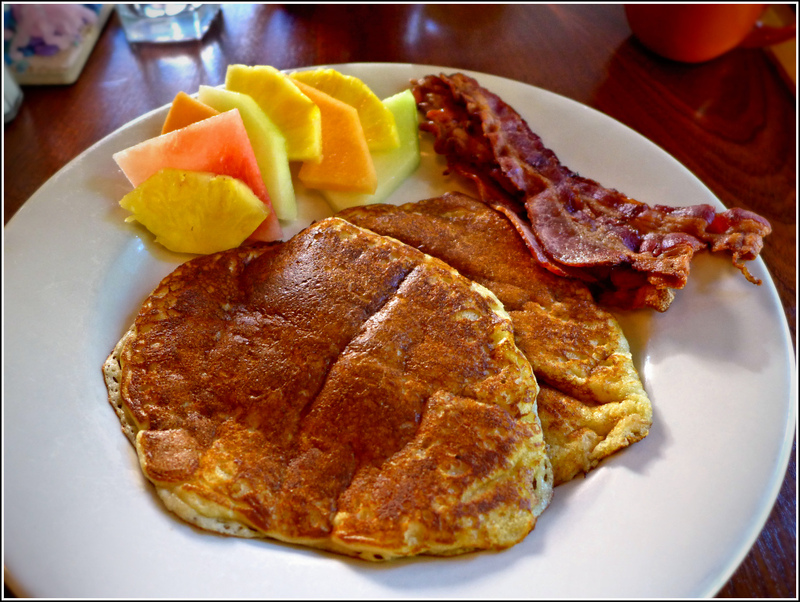 Johnny's awesome pancakes, and the second-best bacon in Bar Harbor! We got a pretty early start on this morning’s adventures. 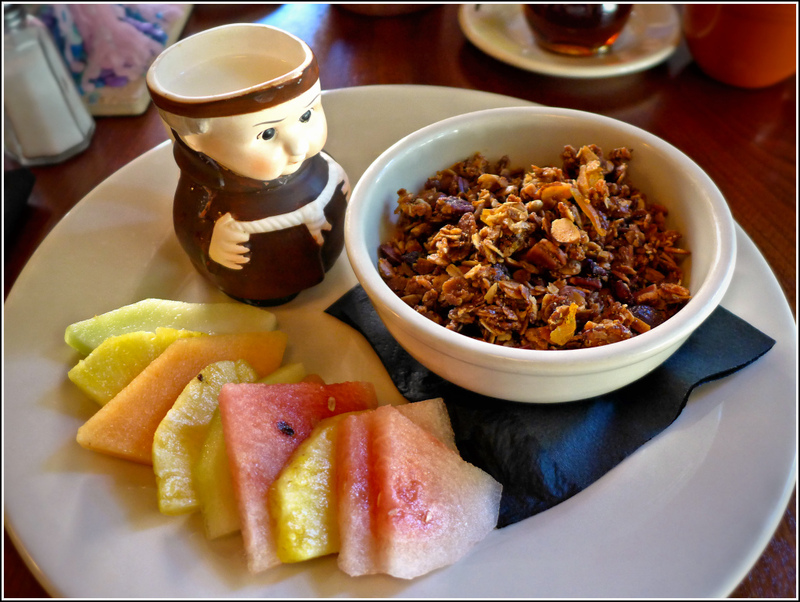 Following a fun and fabulously filling feast at the Friar, we rode the Island Explorer from the Village Green to the Visitors Center, and then continued on toward the Cadillac Mountain overlook. We were the only people on the bus. As usual, the driver had no problem stopping to let us off near the overlook even though it’s not an official stop—but we found it so funny that he actually let us off right at the trailhead for the path up Great Hill although he surely had no idea it was there. 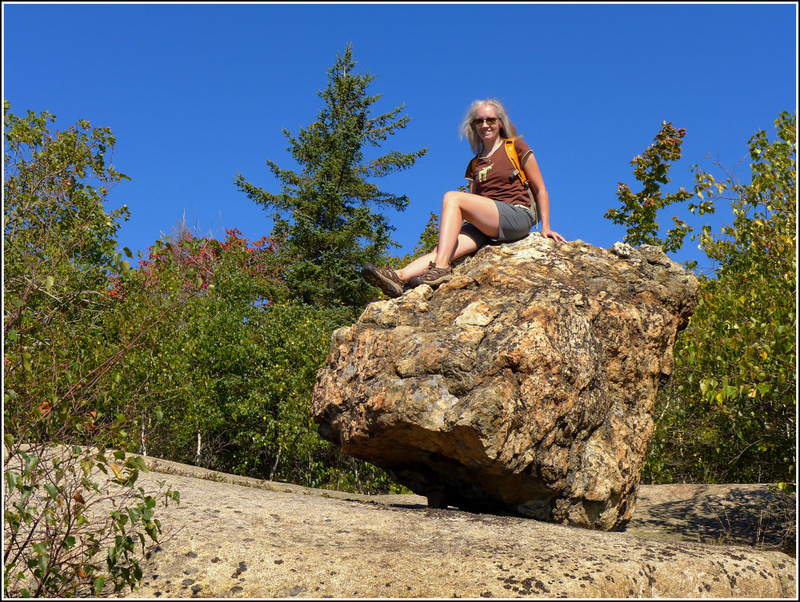 As we expected from Matthew Marchon’s blog post about Great Hill, it was a short and sweet hike to the summit! The views are so spectacular, it’s astonishing that this isn’t an official trail. It clearly provides the best payoff for the easiest climb in the park—if you don’t count driving to the top of Cadillac, which we don’t. 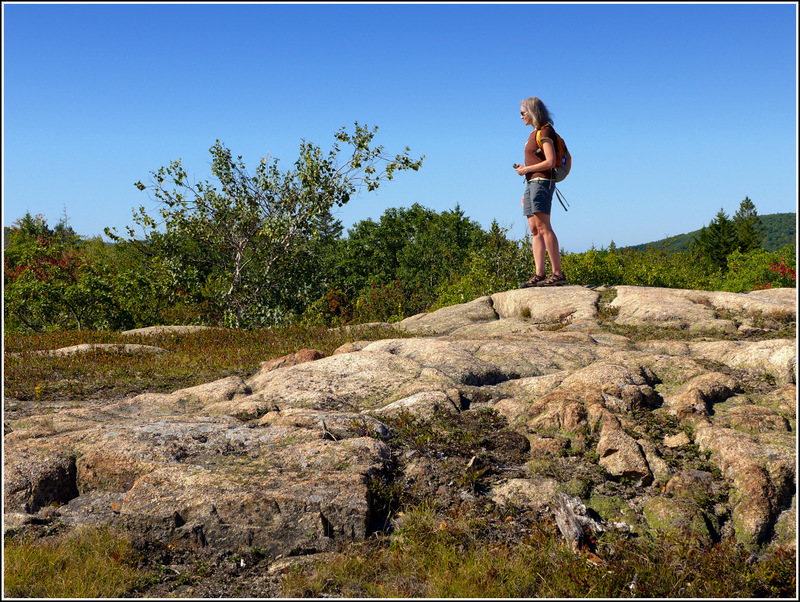 The view is a 360-degree panorama of Champlain, Dorr, and Cadillac Mountains, nearby minor peaks, and a clear view of the ocean. Fantastic! This would be a convenient spot for a little picnic or snack of wine & cheese. You won’t find an easier hike to a better view anywhere in the park, and as a bonus, you’ll probably have the entire hill to yourself. After resting at the summit and taking some photos, we began poking around for any signs of the other trails that once led to Great Hill’s summit. I found a few cairns to the south and Rich found a nice trail leading to the northeast. 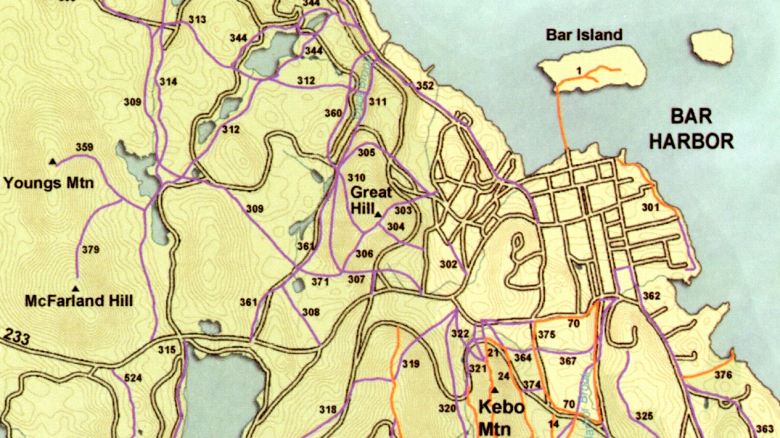 Our goal became finding the trail numbered 310 in Pathmakers (Great Hill to Duck Brook), which should have branched off of the path numbered 306 (Great Hill Path) near the second, or western, summit of Great Hill. That meant that we would first want to investigate the area to the southwest. Well, we found three cairns in a row, which is usually a good sign, but they led us into a wooded area with no sign of a trail and no further cairns! This felt very strange and in our prior experience, is rare. The cairns on these abandoned trails usually lead somewhere. Still convinced we could find some evidence of a trail, we chose a point on our GPSr at Duck Brook Bridge, which was the approximate point where our desired trail once emerged from the woods, and we hiked downhill toward it. All the while we were thinking we would probably come across the trail at some point, if any sign of it still existed. We were wrong about that! The exploration turned into a long bushwhack down the mountain, quite mild as bushwhacking goes, but we’re still not fond of it, especially in tick country. 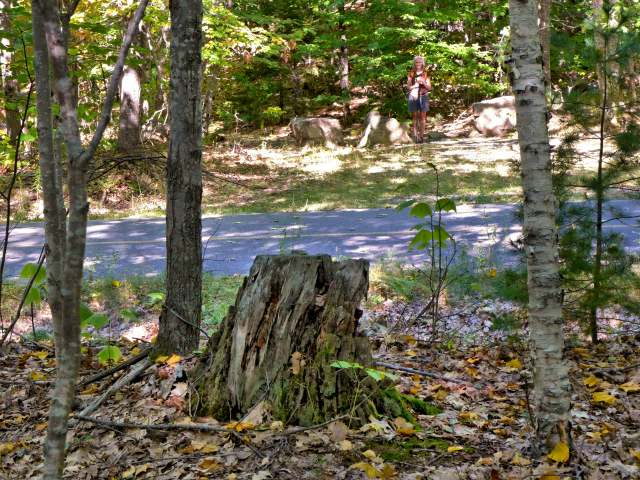 We eventually emerged unscathed onto Duck Brook Road, not too far from the bridge, still fully aware that we hadn’t found any semblance of the real trail. Our plan was to head back along Duck Brook Road to the Park Loop Road. 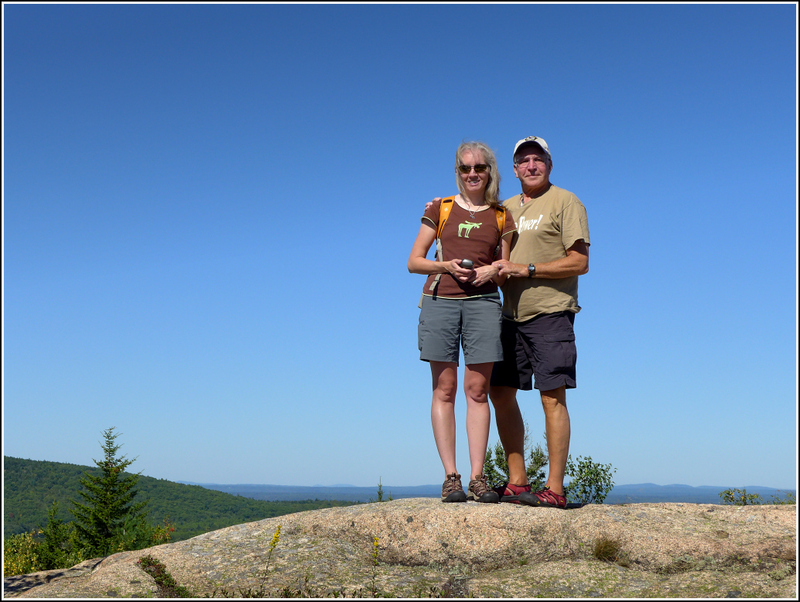 Rich surprised me by wanting to hike back up to the summit of Great Hill and then try the trail to the north that he had found! I was completely in favor of it. The fact that it seemed to be leading northeasterly led us to suspect it was trail #303 (Great Hill from Woodbury Park) shown in Pathmakers . 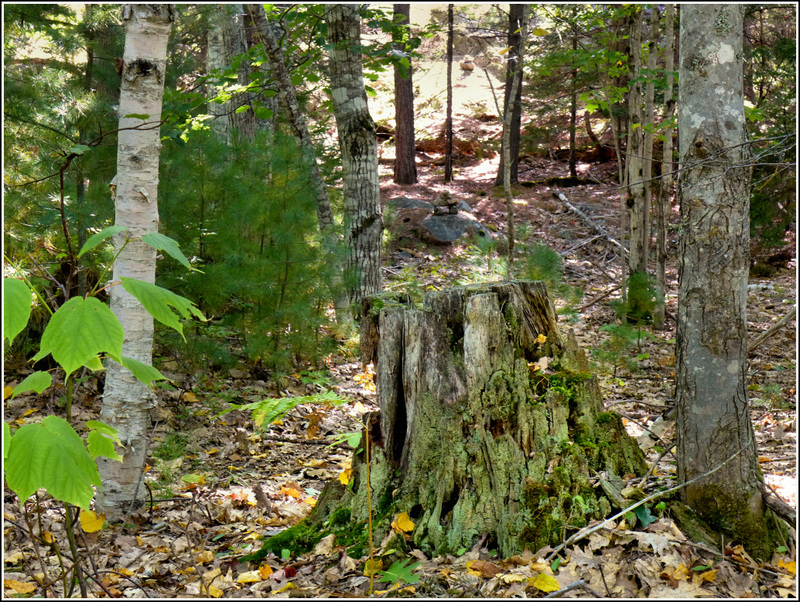 We began following the cairns and well-worn trail in the expected general direction, but before long we seemed to be turning back north toward Duck Brook Road instead of east to put us back on the Park Loop Road. The trail was reasonably well marked and seemed easy enough to pick up again, even in the areas where we lost it for short stretches. This gave us confidence that it would lead somewhere interesting—even if not to the point we expected. 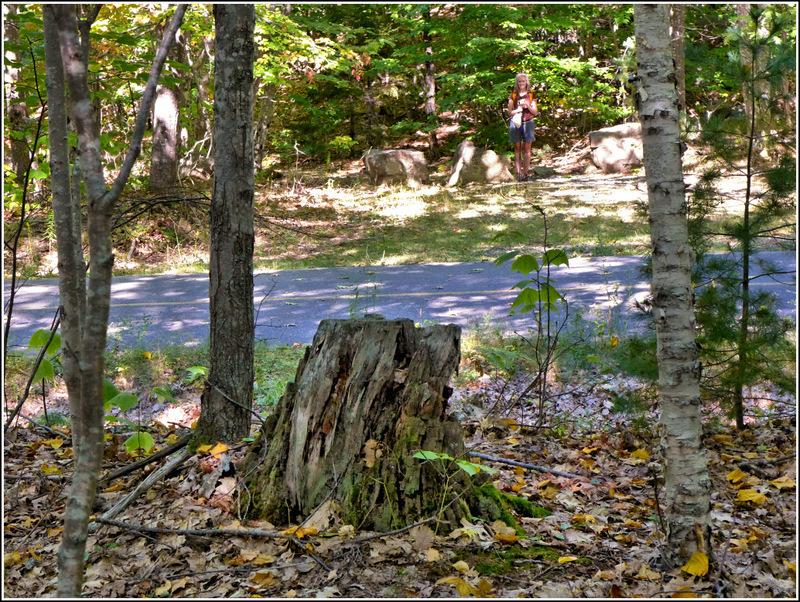 And it did lead somewhere … back to Duck Brook Road (Rich was like “What?! Again? !”), but further east this time. 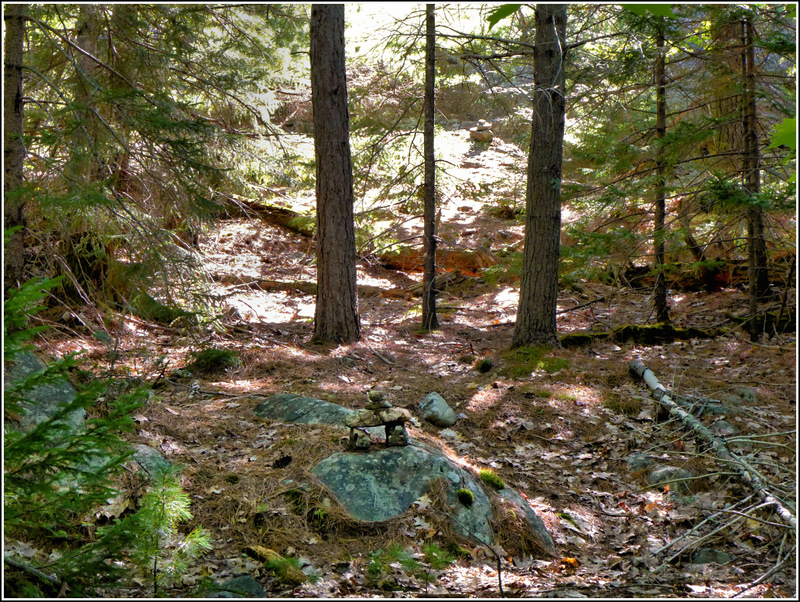 We set a few small cairns as needed to mark the trail subtly for future seekers. The most amusing part was when we eventually made our way down, we popped out of the woods directly across from an old access road we’d commented on the first time we passed by! It appeared from the rudimentary map in my GPSr that it would take us up to the Park Loop Road, and we were curious about it anyway, so we followed it. Could it be part of the Water Pipe Trail that J.R. Libby has written about? So cool—a bonus abandoned trail/road! It begins as a grassy doubletrack road, with the fat water pipe running along the left side. Then it turns 90 degrees to the right and heads uphill, becoming rockier and narrower as it goes. 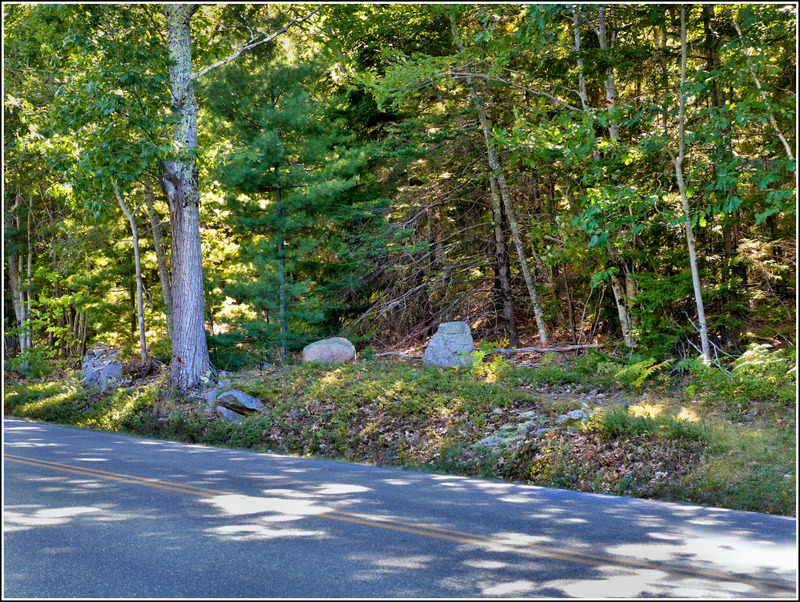 Then it emerges right on the Park Loop Road at a spot indicated by two boulders and a retaining wall beneath! Great find. By now we were quite tired, as you can imagine. We waited alongside the Park Loop Road and caught the next bus headed to the Visitors Center and from there to the Village Green. I’m probably not doing justice to the amount of poking around, incorrect hypotheses, and brief moments of panic (thoughts like “are we ever going to find the rest of the trail, or do we really have to go back? !”) that accompany these searches. It gives you a real appreciation for the art and craft of trailbuilding when you see how vastly different the terrain, footing, vegetation and aesthetic appeal can be in areas just a few yards apart. To build a great trail you have to know the land inside and out, and understand how people respond to their surroundings as they change by the minute. Every mountain probably contains a great trail, or several; it’s the job of the trailbuilder to discover (and reveal) it. 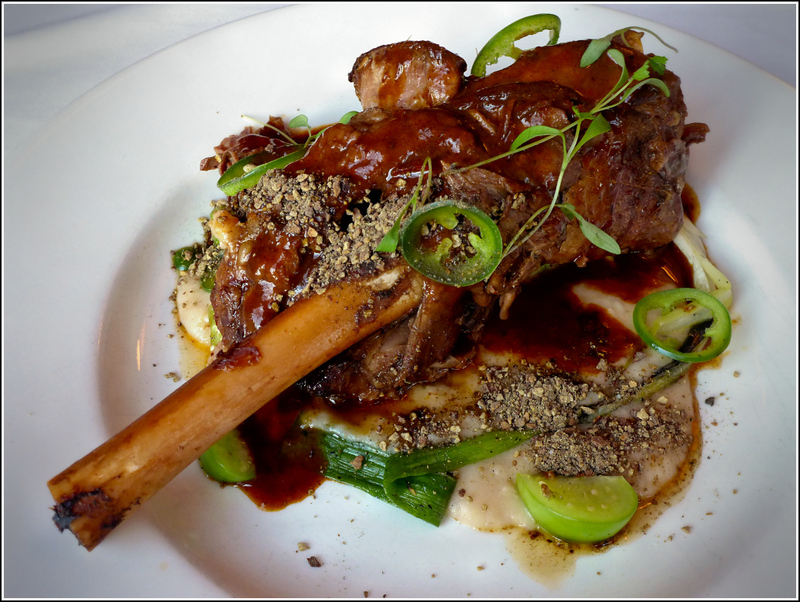 Our anniversary dinner was at one of our favorite restaurants in town, Havana. We drank the customary three mojitos between us over the course of the meal. Tonight’s amuse-bouche was swordfish on a masa cracker with a tart plum sauce. It was an oddly refreshing little bite. Havana always serves a variety of breads, and one is always a special cornbread. This time, we had garlic sourdough and blueberry cornbread, served with a dipping platter of raspberry mojito butter, chile-infused olive oil, and white bean sauce. 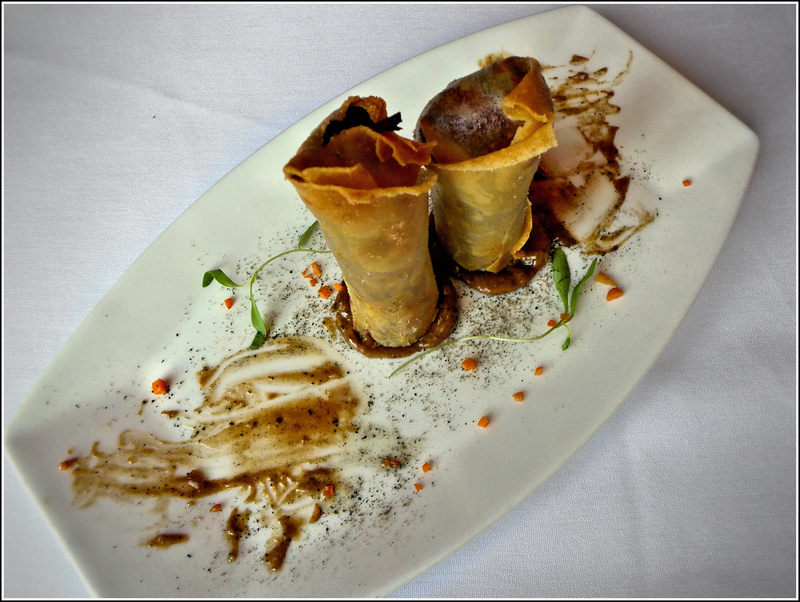 Then, as always, we shared the mushroom spring rolls—FILLED with mushrooms and just completely awesome. For our entrees, Rich ordered the Peruvian chicken thighs and I had the braised lamb shank with chiles and oregano, white bean puree and deconstructed salsa verde (cilantro microgreens, tomatillo quarters and thin jalapeño slices). 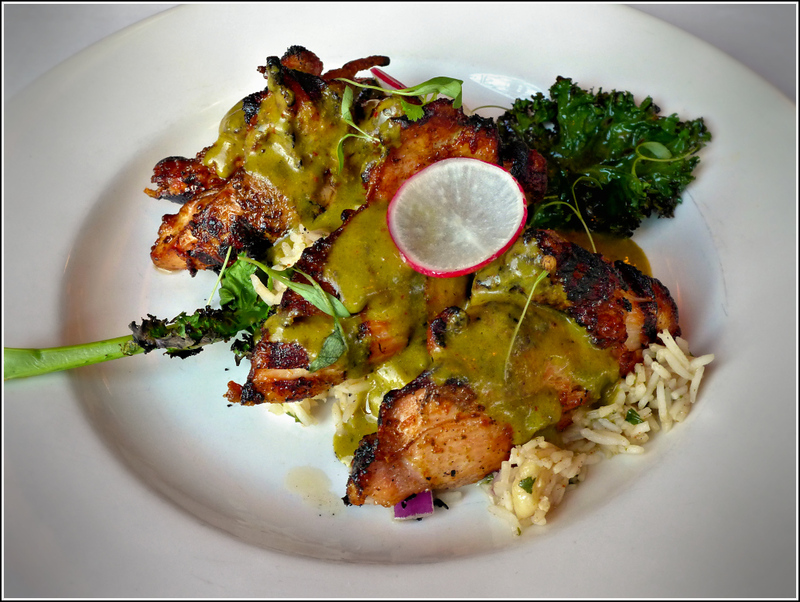 It was the best meal I’ve ever had there, and I’ve had a lot of good meals there! We were too stuffed for dessert, but the lime tart with blueberry sauce and pastel impossible with passion fruit and blood orange sauce both sounded great. I’ll save room in case it’s on the menu next time. On our way back to our room, we ended up getting tiny scoops of peach ice cream (for Rich) and French orange melon sorbet (for me) from MDI Ice Cream.